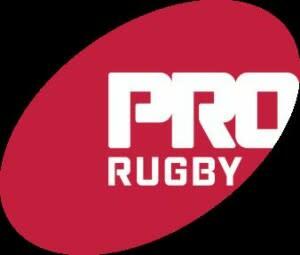 PRO Rugby (Professional Rugby Organization) announced today that Ohio was awarded the fourth of five teams for PRO Rugby’s inaugural season in 2016. In its first year, the Ohio team will play its matches at Memorial Park in the Village of Obetz. PRO Rugby will consist of five teams, with each team having a 30-man squad comprised of current USA Eagles players, domestic club players, and international players. Current club players will be the foundation of PRO Rugby. Four of the five teams have been announced – San Francisco, San Diego, Sacramento and Ohio. The season will have a 12-game regular season starting in April and conclude with its Championship in July. Training camp for the Ohio team will open March 14 and its first game will be held on April 10. Ohio’s PRO Rugby team will get its name via a fan contest conducted during the inaugural season. An official announcement on the coaching staff and roster will be announced in the upcoming days. Affordable season tickets and group ticket packages will be available soon. The league’s inaugural season will be funded by Doug Schoninger, a New York businessman with a background in finance who will also serve as PRO Rugby’s chief executive officer. The Professional Rugby Organization (PRO) is a professional sports league comprised of rugby union teams located in North America, and is the first competition to be sanctioned by USA Rugby and World Rugby. Our mission is to grow the game and provide opportunities for players to train and compete in a full-time high performance environment. We are committed to what we consider the unique ethos and core values of the game; Integrity, Passion, Respect and Teamwork. Douglas has over twenty years of experience in finance and banking. He has a proven track record of returning above average performance in the high-yield bond sector. Douglas Schoninger is CEO and owner of Stadium Capital Financing Group, a company acquired from Morgan Stanley in 2013. Mr. Schoninger was also the majority owner of DJS Capital Management, a manager of separately managed accounts with assets over $700 Million Dollars, established in 2008. Earlier in his career, he has held various positions at Morgan Stanley, Oppenheimer & Co. and Strasbourger, Pearson, Tulcin and Wolff. He received a Bachelor of Science degree in Mechanical Engineering from Tulane University.